Have you gone to other car dealerships in Waukesha and have been disappointed at their used cars for sale near you? If you are currently in the market for used cars for sale near you, stop by your Chevy dealers in Wisconsin at Ewald Chevrolet Buick. Our Wisconsin Chevy dealership has a large inventory of cars for sale near you. You won't be disappointed here at Ewald Chevrolet Buick. We have a vast inventory of cars, trucks, and minivans at our car dealership near Waukesha. Whether you are in the market for cheap used cars, certified pre-owned cars or a new car, we have all different makes and models of vehicles. Including Chevy cars for sale near you. So if you are thinking about buying a car, the first and only place you should stop is here at your Wisconsin Chevy dealers of Ewald Chevrolet Buick. We want you to find a Chevy car for sale that best suits your style and your budget at our car dealership near Waukesha. Are you looking for style as well as something affordable to own? At Ewald, we have the car for you at our Wisconsin Chevy dealership. 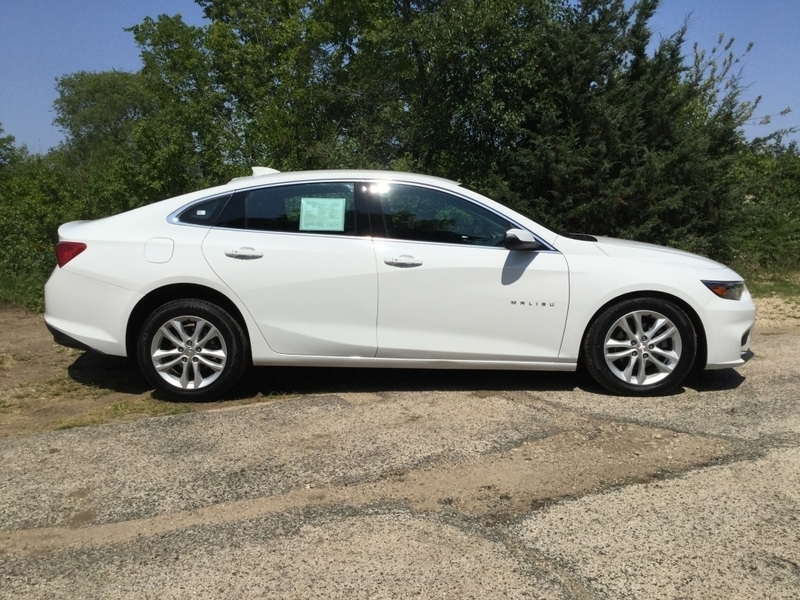 Like the used 2017 Chevrolet Malibu LT for sale at Ewald Chevrolet Buick. This used Chevy for sale is full of features both inside and out. Like the fuel-efficient 1.5-liter DOHC engine on this Chevy Malibu for sale. This Chevy car has an incredible 27 miles per gallon in the city and 36 miles per gallon on the highway. You are sure to find yourself cruising right by the gas stations without worry when you buy this Chevy Malibu. The fuel economy on this used Chevy Malibu for sale near you is not the only thing worth mentioning on this vehicle. You will find many comfort features as well when searching for the perfect used car at car dealerships in Waukesha. Such as Bluetooth, MyLink audio with touch-screen, and more. Like a rear vision camera. No more difficulties when backing into and out of small spaces when you buy this Chevy Malibu. Is a used Chevrolet Malibu not the ideal car for you? Why not come and see one of the many other new and used cars for sale near you at our car dealerships near Waukesha? Come to your Chevy dealers near me today at Ewald. Take a test drive one or more of our used cars for sale near me. Visit your local Chevy dealer of Ewald Chevrolet Buick, today. Let us help you get closer to driving home in your dream car today. You can find Ewald Chevrolet Buick located at 36833 E Wisconsin Ave Oconomowoc WI, 53066 to check it out in person. Or you give us a call at (262) 226-2842 to schedule your test drive. If you have gone to other used car dealers near Waukesha, or even if you haven't started your search yet. Start here, and it will be your only stop. With all the cars we have in our inventory there is no need to go anywhere else for a used car.